This week, the Dirty Birds are to rustle with the Dallas Cowboys, and your fearless Rise Up Readers are here to run these varmints out of town. Reach for the sky! There’s a Snake in my Boot: The guys discuss this Falcons team after losing their fourth game of the season. Get Along, Little Defense: The hosts break down the Falcons defense, and what it needs to do to overcome the multi-layered Cowboys offense, led by Dak Prescott. The Big O Saloon: The two decide if the Falcons offense has what it takes to overcome a formidable Dallas defense. Predictions In the Sky: The duo offer their thoughts on who walks out of this one alive. Print the Legend: Mike and Cory challenge each other to a mini-duel on if it’s possible Gary Kubiak could be in Atlanta in 2018. You can follow along Mike at @RiseUpReader and Cory at @CoryWoodroof47. Programming Note: Mike and Cory are now hosting The Falcoholic Postgame Show this season, presented by Rise Up Reader. 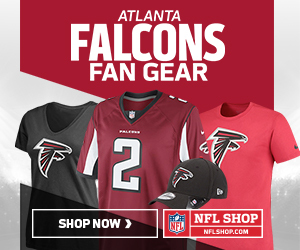 Subscribe to The Falcoholic on iTunes to give it a listen, or visit The Falcoholic here. Mike and Cory will be back next week for a preview of the Seattle Seahawks game.